The following Rules are for all dog parks maintained by the City of Los Angeles Department of Recreation and Parks. Dog defecation is to be immediately removed by owner (LAMC 53.49). – Use the scoopers provided. Aggressive dogs are not allowed in the park. 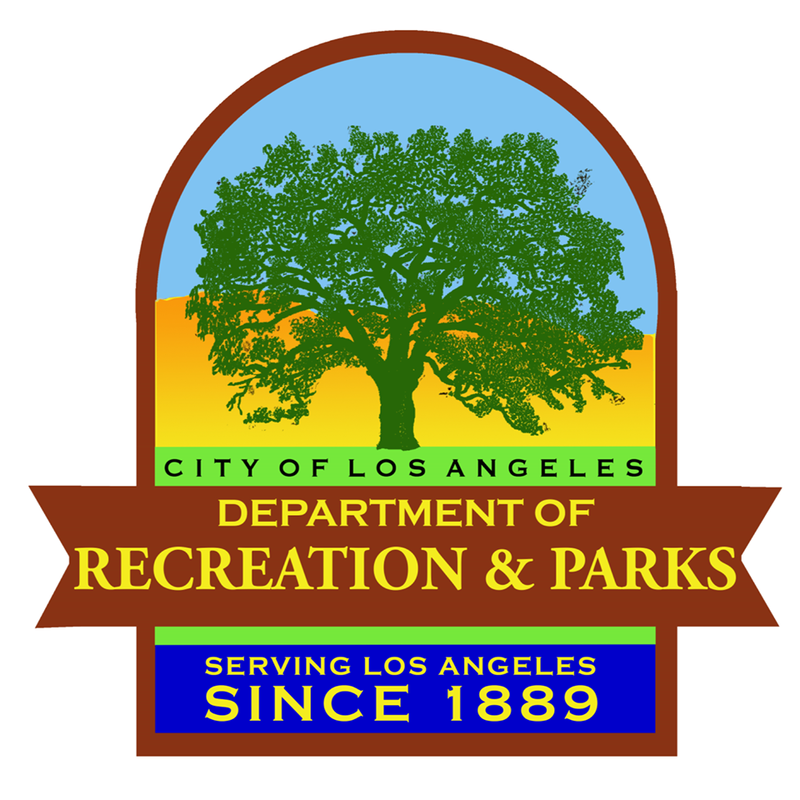 Dogs exhibiting unusually aggressive behavior are to be removed from the park at once (LAMC 53.34). In the event of dog bite or injury owner/guardian must exchange current tag information and phone number (LAMC 53.29, 53.38). Dogs must not be unattended. (LAMC 53.10 and 53.12) any dogs left unattended will be taken to the shelter. For the health and safety of your puppy, no dogs under the age of four months are allowed to use the facility. All dogs over the age of four months shall be fully vaccinated and licensed (LAMC 53.21, 53.51 and LAMC 53.28). All dogs must wear collars and tags. Dogs with communicable diseases are not allowed on park premises at any time. (LAMC 53.30). Female dogs in any stage of heat are not permitted in the park (LAMC 53.29). Dogs must be leashed at all times in the parking area (LAMC 53.06.2). Dogs only! Animals other than dogs are not permitted inside the park. This includes but is not limited to: Wolf hybrid (LAMC 53.39), cats, pot bellied pigs, rabbits, ferrets, rats, birds and reptiles. Absolutely no food or treats are allowed inside the park. The presence of food my lead to aggression. Alcohol is prohibited. (LAMC 41.27). Glass bottles and/or containers are not permitted in the park. Grooming of dogs is prohibited in the park. Abandoning of animals is prohibited (497(s) P.C.). No bicycles, skateboards or rollerblades are permitted in the park. Small children must be closely supervised by an adult at all times. Please discourage your child from running to minimize the chance of your child being chased. Please do not leave valuables in your vehicle; leave them at home or secure them out of view in your vehicle prior to leaving home. Permits are required for all commercial activities. Please call (818) 785-5798 for permit information. Security Service Los Angeles Police Department can be contacted at (213) 978-4670. All Dogs must be spayed or neutered (LAMC 53.15.2). Support Friends of Hermon Dog Park! JOIN – Become a member or renew your membership. VOLUNTEER – Help us with animal welfare events, fundraising efforts and outreach, dog park improvements and cleanup, and more. DONATE – Your cash donations help us organize festivals and events, provide doggie waste bags, and various improvement projects at the dog park.